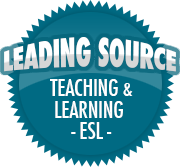 About This Blog | So, You Think You Can Teach ESL? I created this blog to give teachers a place where they can share ideas, tips, critique and discuss education and teaching – both in ESL and public or private education. It is my hope that through discussion and implementation, ESL education – as well as private and public education – can be improved. The ultimate goal of a teacher, in my opinion, is to see students succeed both in and out of the classroom. I hope we, as educators, can make this possible. Brilliant and noble intentions! Love it. I teach also, but pre-school.. I love teaching little kids 😉 It’s good to lay the foundation early. Exactly! I teach elementary to middle school students. I am definitely an elementary school teacher, more than I am a middle school one. I used to work in a child-care center and preschool back in Nebraska for four years while in college. It was so much fun! Wow, you taught preschool for four years?That’s great. Elementary school is what age? I am in the UK, so I’m not used to the American school system! Is elementary 7-11? or is that middle school? I was an assistant teacher since I was still a university student at the time. I teach at an English langauge-learning academy in South Korea. I teach elementary grade 1 to middle school year 3. Here in Korea, elementary goes from grades 1 to 6, and middle and high schools are three years each. I don’t teach high school, though. Thanks for stopping by! It’s always great to write about something many people can connect with and learn from. Four years in, I’m still learning what it means to be a teacher, and I want to share my experiences, tips and other things with people! Well you know what they say, ‘the best teachers are the best learners!’ 😀 I think it’s certainly true. So do I. We learn as much as we teach, and our students follow us as we lead and guide them. I am so impressed about you Mr. Ketan. Keep spreading knowledge. Thanks! It’s fun to share what I know, and learn from others! Awesome idea for a – much necessary – blog and platform for both teachers and students, really great idea and goal, congratulations on that Ketan. Keep up with the great and interesting posts you have here, awesome content and insights, keep up with the good work, you’re going far with this educations wise. Great blog – you’ve got me following you straight! I’m also a ESL teacher and I think having a community and group of fellow teachers really ups a teacher’s game, plus it’s a great way to exchange resources and learn new tips and tricks. English as a Seconds Language, dare I ask? I assumed because we have that here in Switzerland. My Children being mother tongue English with Swiss German, German, French and Italian to follow. They had to attend GSL in elementary School even though I was married to a Swiss. Yes, “ESL” means “English as a Second Language”. Some teachers get really uppity about whether it’s teaching ESL or EFL; the nuance is pretty subtle, since in the end you’re still teaching English to non-native English speakers. So that makes me think that US students who study French or Spanish in high school, could be called “SSL”/ “SFL” or “FSL”/ “FFL” learners. What is troublesome here is that when they children have “early English” they are not taught by english tongue teachers. In High School, my girls used to catch the mistakes and be given a hard time because they are American english and the school teaches a British english. Oh wow, haha! In other countries- especially here in Asia- American English is preferred to British English. The children prefer AE as well, but the “real” English wins in the classroom lol¨! I love your idea for creating a forum for English language teachers to critique each other’s ideas for how to improve our education system and English language teaching. I would like to see a lot more attention is encouraging students to accept mistakes as part of the learning process and, in fact, as a valuable learning tool. I also think all students and societies would benefit from awareness about how people learn differently for many different reasons–and to respect each persons’ unique stage of learning rather than to expect students to be at certain stages of emotional, social, cognitive and physical skills development by a certain age. Standardized testing is a socially sanctioned way of classifying people into categories based on factors that are often outside of their control. I understand that learning to read is more difficult for students who naturally categorize concepts and are good at math skills. Conversely, students who brainstorm and naturally see more than one way to “do things” are being left behind as school systems focus all their praise and energy on improving STEM scores. Why pressure children and adults to do more than they’re ready to do and faster than what enables them to truly learn whatever it is they need or want to know? We kill people’s potential and confidence when we curtail their pursuits to go beyond the lesson taught and hurry them along before they’ve understood a concept well enough to apply it or invent a way to apply it for various purposes. That, after all, is the goal of learning. We need to teach people how to think critically and not memorize answers to multiple choice questions. There’s so much wrong with our education system, I just hope enough people notice and do something to change it. Thanks so much for the comment!! I definitely agree with what you’ve said and will work more on focusing on various issues in ESL education and education in general as I had time. I hope you enjoy reading my blog and I’m always glad to hear feedback from fellow teachers.